Usage of #hashtags has been increased with time and now people are very much efficient in using those tags while in Twitter, Facebook, Google+ or any other supported hashtags platforms. The hashtag always increases the chances of your post being discovered when someone uses those terms in a search. Using the hashtags are important if you want your posts to be found. Suppose you want to post some weekend party pics over social media and want to give a hashtag to them. Use #weekend #party to those pics. A lot of people are posting messages or posts that were nothing but a collection of hashtags. A big NO for this practice.Never use more than two or three hashtags per message or post. If you use so many hashtags then it may give people the impression that you are a spammer. You have to specify the message type using it rather than message content. Suppose, you want to put a hashtags for your post on popular app for iphone and you are using as #popularappsforiphoneusers. As you can see this is just a big confusing hashtag which reveals the content itself. Never use more than two or three words for your hashtag. Use #iPhoneApps to be very specific. This small hashtag will be easy to understand and found quickly. Using special characters will make your hashtags ineffective. Any hastag is tarted with # symbol so always avoid using any other special character in it. You can use numbers within your hashtag. A lot of people use irrelevant hashtags in sake of using forced hashtags, which doesn't mean anything and doesn't even explain your message. Always make sure your hashtag is related to your posted content. If you continually post hashtags that are not relevant to your content, you will lose your readers and followers. Always create a relevant hashtag that has not yet been used to promote an event or explains your post. Include the hashtag in all your posts related to this event or post. Once you have created a hashtag, do a search for it to see if it is already in use. Make sure that it shouldn't already be in use for an entirely different topic. It could be a misleading and embarrassing situation if you used a hashtag that was already in use for something else or some demeaning phrases. Hashtags were introduced on Twitter but they are now effectively used on most social media sites. You can do a research to see the most effective way to use them for each particular social networking site. 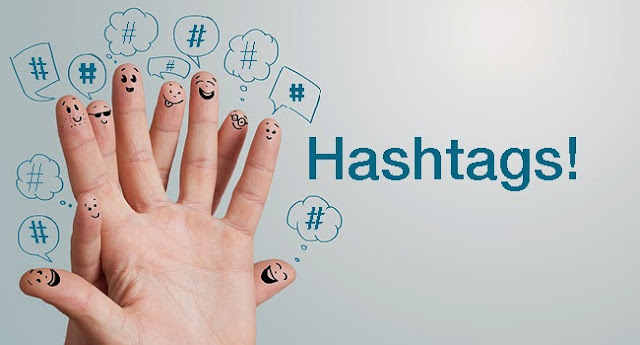 Each social networking site have different guidelines for how to use #hashtags properly effectively. Always use hashtags that are easy to remember and unique. Overall it should develop some interest in readers. You can add a little humor or quirkiness that will make the difference between a good hashtag and a great hashtag. If you keep your hashtags interesting then the chances of people retweeting or sharing them will be more. By using few keywords, you can narrow down your search result with using easily discoverable hashtags. Be very very specific as opposed to a generic hashtag. Hashtags that are too generic will not generate many results. Suppose you want to sell your software product which is for real time traffic optimizer, do not use the hashtag as #Optimization instead you use #RealTimeAnalyzer or #RealTimeOptimizer.